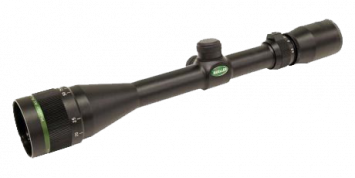 From Turkey to Big Game, the Multi-Shot has it all and was designed specifically for hunters who need the versatility of a multi-purpose scope. We feel it is by far the most unique and versatile scope ever developed. What sets the Multi-Shot 2-7×32 apart from anything else on today’s market is the advanced technology and versatility implemented into the design. The Multi-Shot can be used on virtually any type of firearm because of the multi-purpose reticle design. 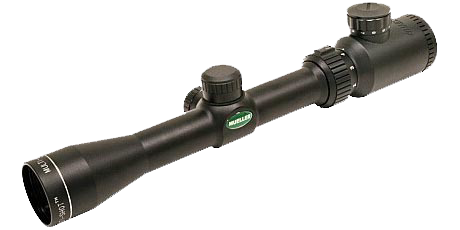 The Mutli-Shot is an outstanding crossbow scope for big game hunting too. The outer circle was designed for use with shot type loads fired from shotguns, for example when turkey hunting. 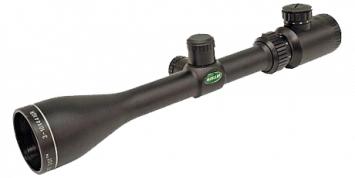 The circle will cover 15″ @ 40 yards on 2× magnification. 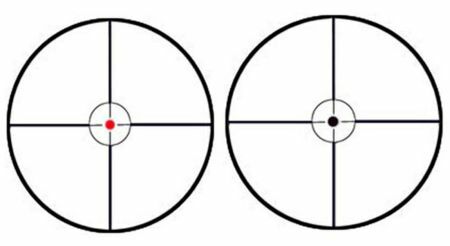 When sighting in shot type loads, adjust windage and elevation so the most dense pattern is centered in the circle. This assures the most dense portion of your pattern will hit your intended target. The outer circle can also be used as a rangefinder and bullet drop compensator for slug guns and muzzleloaders. We are well aware that once these heavy loads reach a certain distance they begin dropping extremely fast so knowing your yardage can be the difference between a good clean kill or a potential miss. The dot was designed for larger game animals such as Deer, Elk and Bear. 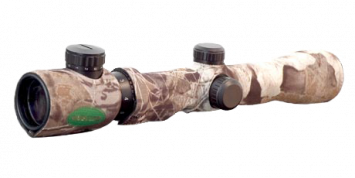 The center dot will only cover 1″ at 100 yards making it ideal for the big game hunter. Sighting in is done in the same manner as a standard rifle scope. Mueller has gone one step farther by designing the dot so it can also be illuminated during low light situations, giving you an instant red dot aim point. 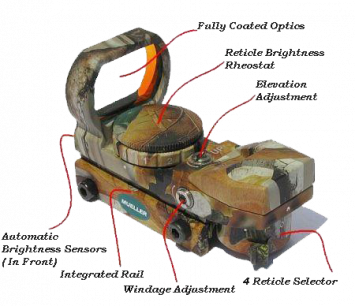 This new design will also solve the problem of having your reticle blend in with dark targets such as a black bear or dark background objects during low light.